All good things must come to an end, even Windows 7. After January 14, 2020, Microsoft will no longer provide security updates or support for PCs running Windows 7. But you can keep the good times rolling by moving to Windows 10. Yes, you can upgrade compatible Windows 7 PCs with the purchase of a Windows 10 license. However, depending on the age of your PC, performance can suffer after Windows 10 is installed. To take advantage of the latest hardware capabilities, we strongly recommend moving to a new PC with Windows 10. You can continue to use Windows 7, but once support ends on January 14, 2020, your PC will no longer be security compliant, and will be highly vulnerable to security risks effecting not only your PC but your entire network. Windows 7 can still be installed and activated after support has ended. However, to avoid security risks and viruses, Microsoft recommends that you install Windows 10. Support for Internet Explorer on Windows 7 devices will be discontinued on January 14, 2020. As a component of Windows operating system, Internet Explorer follows the same support life-cycle. Whether you are upgrading an existing device, buying a new one, or just need help deploying, we have the help you need. Please contact your ASK sales rep today at (610) 617-0300. Are you tired of that acquaintance who keeps bugging you with computer questions? Do you avoid visiting certain people because you know you will spend most of the evening cleaning up their machine? My uncle Bob is one of those people. He’s a nice guy, but with computers, he’s not just an accident waiting to happen—he’s an accident waiting to become a catastrophe. To keep Uncle Bob’s computer safe without blowing up the Internet, we need to give him the simplest of instructions that result in protecting him against as much as possible. Uncle Bob needs a lazy person’s guide to cybersecurity. It’s not that Uncle Bob is lazy. It’s that he’s overwhelmed by the amount of stuff he has to do to keep his data and devices secure. Multiple passwords, reading through EULAs, website cookies that he clicks “agree” to without really paying attention—they’re giving him a serious case of security fatigue. And as his helper, you’re probably pretty over it, too. The funny thing is, with adequate cybersecurity, Uncle Bob’s—and by extension all of our—problems would be much less frequent and less severe. So, let’s see if we can work out a system of minimum effort that renders reasonable results. Before we begin, we will should note that lazy cybersecurity should not apply to devices used to store sensitive data, conduct financial transactions, or communicate confidential or proprietary information. Lazy security is a good way to protect those who prefer to do nothing rather than be overwhelmed by 50 somethings, but it shouldn’t have severe consequences if it goes wrong. Your first step should always be user education. So many of today’s most dangerous threats are delivered through social engineering, i.e., by tricking users into giving up their data or downloading the malware themselves from an infected email attachment. Therefore, knowing what not to click on and download can keep a good portion of threats off a lazy person’s device. With most people, it helps to know why they shouldn’t download or click on links in emails that look like they came from a legitimate institution. Just telling them “don’t do that” may help for a bit, but advice is better retained if it’s grounded in practical reasoning. Therefore, each item in this list is accompanied by a brief explanation. Do not click on links asking to fill out your personal information. Your financial institutions will not send emails with links to click, especially if those links are asking you to update personally identifiable information (PII). If a website promises you something in return for filling out personal data, they are phishing. In return for your data, you will probably get lots more annoying emails, possibly an infection, and no gift. Don’t fall for too-good-to-be-true schemes. If you get offered a service, product, game, or other tantalizing option for free, and it is unclear how the producers of said service or item are making money, don’t take it. Chances are, you will pay in ways that are not disclosed with the bargain, including sitting through overly-obnoxious ads, paying for in-game or in-product purchases, or being bombarded with marketing emails or otherwise awful user experiences. Don’t believe the pop-ups and phone calls saying your computer is infected. Unsolicited phone calls and websites that do so are tech support scams. The only programs that can tell if you have an infection are security platforms that either come built into your device or antivirus software that you’ve personally purchased or downloaded. Think about it: Microsoft does not monitor billions of computers to call you as soon as they notice a virus on yours. Don’t download programs that call themselves system optimizers. We consider these types of software, including driver updaters and registry cleaners, potentially unwanted programs. Why? They do nothing helpful—instead, they often take over browser home pages, redirect to strange landing pages, add unnecessary toolbars, and even serve up a bunch of pop-up ads. While not technically dangerous themselves, they let a lot of riff raff in the door. Consider disabling web push notifications. These can be easily spoofed and used for social engineering/obtrusive advertising purposes. Beyond staying away from “allow” and “download” buttons, and steering clear of links asking for PII, users who conduct any kind of financial transaction on their machines should approach them with extreme caution. Here’s where we ask users to take action, looking for security clues and doing a little research before paying that bill or buying that new book. Use a designated browser you trust. This needn’t be for all surfing, but for purchasing especially, research the different browsers and see which one you feel safest with, whether that’s because they have few vulnerabilities, don’t track your surfing behavior, or encrypt all communication. Major browsers such as Firefox, Safari, and Chrome have strengths and weaknesses they bring to the game, so it’s a matter a personal preference. We do suggest staying away from older browsers rife with security holes, such as Internet Explorer. Look for HTTPS and the green padlock. No, it’s no longer a guarantee that the site is safe just because it has a green padlock, but it does mean the communication is encrypted. If you combine that with being on the true website of a trusted vendor, you can breathe easier knowing your payment details cannot be intercepted in transit. This could turn out to be too confusing for the Uncle Bobs of this world, however. If so, best to point them in the direction of brick-and-mortar stores for shopping, the checkbook for paying bills, and the actual bank to conduct other financial business. Perhaps Uncle Bob can only manage so much security education before feeling overburdened with technical knowledge. In that case, it helps for a tech-savvy friend or relative to pitch in and tighten up a few things on the backend. First of all, if someone is looking for a new computer for non-sensitive purposes, such as browsing, social media, games, and some basic email or chat functions, you can chime in with recommendations. For someone not invested in heavy gaming, a Chromebook would be a good option, as it will save them some money and can perform all those functions, plus any browser-based gaming. However, someone with an interest in PC gaming will likely need an entirely different OS and an intense graphics card (and therefore lots of protection against cryptominers). Meanwhile, Macs are good options for users looking to get into graphic design. Installing software on a system usually comes with the task of having to keep it up-to-date. Therefore, any software programs that Uncle Bob selects should minimize the potential pitfalls. When Uncle Bob is shopping for software, recommend he finds programs that have a self-updating function. We know this isn’t always recommended in a work environment, but for the lazy security person, it’s perfect. One less thing to worry about. They don’t understand to which program they belong, which takes away the context for them. The text in the notifications is designed to be short, not always maximized for clarity. Technical terms used in the notification are unknown to the receiver. Their reactions may vary. Some will simply click until they disappear. This is the behavior that usually gets them into trouble, so you don’t want to give them another reason to click–click–click away. Others may get worried and call for backup immediately, asking what’s wrong and why they are getting this “pop-up.” So, any software that can be set to only issue a warning when something is really amiss deserves another plus. There are some secure browsers out there that value your privacy, but I’m pretty sure my Uncle Bob does not like using them. There is a learning curve involved that may not seem steep to you and me, but my uncle Bob…you know what I mean. But there is hope on the horizon. Some of the more user-friendly browsers can be equipped with extensions/add-ons/plugins that boost security by adding an extra protective layer. Please click here to view original article in it’s entirety. Phishing is the crime of deceiving people into sharing sensitive information like passwords and credit card numbers. As with real fishing, there’s more than one way to reel in a victim, but one phishing tactic is the most common. Victims receive a malicious email (malspam) or a text message that imitates (or “spoofs”) a person or organization they trust, like a coworker, a bank, or a government office. When the victim opens the email or text, they find a scary message meant to overcome their better judgement by filling them with fear. The message demands that the victim go to a website and take immediate action or risk some sort of consequence. If users take the bait and click the link, they’re sent to an imitation of a legitimate website. From here, they’re asked to log in with their username and password credentials. If they are gullible enough to comply, the sign-on information goes to the attacker, who uses it to steal identities, pilfer bank accounts, and sell personal information on the black market. Unlike other kinds of online threats, phishing does not require particularly sophisticated technical expertise. In fact, according to Adam Kujawa, Director of Malwarebytes Labs, “Phishing is the simplest kind of cyberattack and, at the same time, the most dangerous and effective. That is because it attacks the most vulnerable and powerful computer on the planet: the human mind.” Phishers are not trying to exploit a technical vulnerability in your device’s operation system—they’re using “social engineering. From Windows and iPhones, to Macs and Androids, no operating system is completely safe from phishing, no matter how strong its security is. In fact, attackers often resort to phishing because they can’t find any technical vulnerabilities. Why waste time cracking through layers of security when you can trick someone into handing you the key? More often than not, the weakest link in a security system isn’t a glitch buried in computer code, it’s a human being who doesn’t double check where an email came from. In the 1970s, a subculture formed around the practice of using low-tech hacks to exploit the telephone system. These early hackers were called “phreaks”—a combination of “phone” and “freaks.” At a time when there weren’t many networked computers to hack, phreaking was a common way to make free long-distance calls or reach unlisted numbers. Criminals registered dozens of domains that spoofed eBay and PayPal well enough that they passed for the real thing if you weren’t paying close enough attention. PayPal customers then received phishing emails (containing links to the fake website), asking them to update their credit card numbers and other personally identifiable information. The first known phishing attack against a bank was reported by The Banker (a publication owned by The Financial Times Ltd.) in September 2003. Even more infamous was the phishing campaign launched by Fancy Bear (a cyber espionage group associated with the Russian military intelligence agency GRU) against email addresses associated with the Democratic National Committee in the first quarter of 2016. In particular, Hillary Clinton’s campaign manager for the 2016 presidential election, John Podesta, had his Gmail hacked and subsequently leaked after falling for the oldest trick in the book—a phishing attack claiming that his email password had been compromised (so click here to change it). While most phishing campaigns send mass emails to as many people as possible, spear phishing is targeted. Spear phishing attacks a specific person or organization, often with content that is tailor made for the victim or victims. It requires pre-attack reconnaissance to uncover names, job titles, email addresses, and the like. The hackers scour the Internet to match up this information with other researched knowledge about the target’s colleagues, along with the names and professional relationships of key employees in their organizations. With this, the phisher crafts a believable email. In this attack, criminals make a copy—or clone—of previously delivered but legitimate emails that contain either a link or an attachment. Then, the phisher replaces the links or attached files with malicious substitutions disguised as the real thing. Unsuspecting users either click the link or open the attachment, which often allows their systems to be commandeered. Then the phisher can counterfeit the victim’s identity in order to masquerade as a trusted sender to other victims in the same organization. In a hilarious update of the classic Nigerian phishing template, British news website Anorak reported in 2016 that it received an email from a certain Dr. Bakare Tunde, who claimed to be the project manager of astronautics for Nigeria’s National Space Research and Development Agency. Dr. Tunde alleged that his cousin, Air Force Major Abacha Tunde, had been stranded on an old Soviet space station for more than 25 years. But for only $3 million, Russian space authorities could mount a flight to bring him home. All the recipients had to do was send in their bank account information in order to transfer the needed amount, for which Dr. Tunde will pay a $600,000 fee. Incidentally, the number “419” is associated with this scam. It refers to the section of the Nigerian Criminal Code dealing with fraud, the charges, and penalties for offenders. SMS phishing, or “smishing,” is vishing’s evil twin, carrying out the same kind of scam (sometimes with an embedded malicious link to click) by means of SMS texting. Recognizing a phishing attempt isn’t always easy, but a few tips, a little discipline, and some common sense will go a long way. Look for something that’s off or unusual. Ask yourself if the message passes the “smell test.” Trust your intuition, but don’t let yourself get swept up by fear. Phishing attacks often use fear to cloud your judgement. The email makes an offer that sounds too good to be true. It might say you’ve won the lottery, an expensive prize, or some other over-the-top item. You recognize the sender, but it’s someone you don’t talk to. Even if the sender’s name is known to you, be suspicious if it’s someone you don’t normally communicate with, especially if the email’s content has nothing to do with your normal job responsibilities. Same goes if you’re cc’d in an email to folks you don’t even know, or perhaps a group of colleagues from unrelated business units. The message contains links that look a little off. Even if your spider sense is not tingling about any of the above, don’t take any embedded hyperlinks at face value. Instead, hover your cursor over the link to see the actual URL. Be especially on the lookout for subtle misspellings in an otherwise familiar-looking website, because it indicates fakery. It’s always better to directly type in the URL yourself rather than clicking on the embedded link. • Don’t open e-mails from senders you are not familiar with. • Don’t ever click on a link inside of an e-mail unless you know exactly where it is going. • To layer that protection, if you get an e-mail from a source you are unsure of, navigate to the provided link manually by entering the legitimate website address into your browser. • Lookout for the digital certificate of a website. • If you are asked to provide sensitive information, check that the URL of the page starts with “HTTPS” instead of just “HTTP.” The “S” stands for “secure.” It’s not a guarantee that a site is legitimate, but most legitimate sites use HTTPS because it’s more secure. 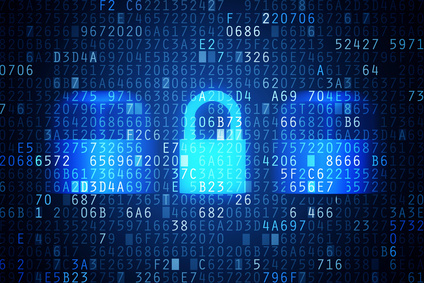 HTTP sites, even legitimate ones, are vulnerable to hackers. 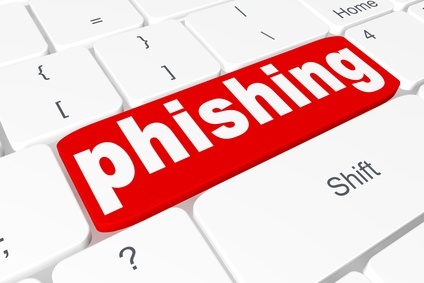 • If you suspect an e-mail isn’t legitimate, take a name or some text from the message and put it into a search engine to see if any known phishing attacks exist using the same methods. • Mouseover the link to see if it’s a legitimate link. • As always, we recommend using some sort of anti-malware security software. Most cybersecurity tools have the ability to detect when a link or an attachment isn’t what it seems, so even if you fall for a clever phishing attempt, you won’t end up sharing your info with the wrong people. All Malwarebytes premium security products provide robust protection against phishing. They can detect fraudulent sites and stop you from opening them, even if you’re convinced they’re legitimate. Click here to view original article in it’s entirety.